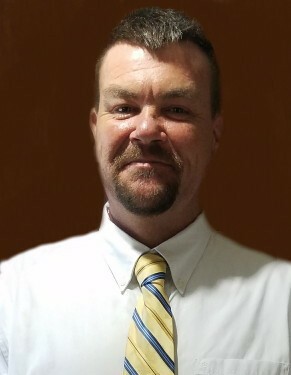 Jeffrey Wayne Godwin, 42, husband of Kimberly Morris Godwin, died Monday, April 8, 2019, from injuries sustained in an automobile accident. Jeff was born on September 18, 1976 in Florence County, son of Violet Buroughs Godwin Hanna and the late Richard Gerald "Jerry" Godwin. He was a graduate of Lake City High School and was a master plumber. Surviving are his wife, Kimberly Morris Godwin of Lake City; children, Madesyn Elizabeth Godwin, Trysten Phillip Godwin, Aubyrn Chase Godwin, all of Lake City; step-son, Dylan Joseph Morris of Lake City; mother, Violet Buroughs Godwin Hanna; siblings, Phillip (Madelyn) Hanna of Lake City, Timmy (Diane) Godwin of Kingstree and Ricky (Beth) Godwin of Lake City; mother and father-in-law, Cleve and Nancy Morris of Cades; several nieces and nephews. Funeral services will be 4:00 PM, Thursday, April 11, 2019, at Carolina Funeral Home Chapel, with burial to follow at Hebron Independent Church Cemetery. The family will receive friends from 2:30 – 4:00 PM, Thursday, April 11, 2019, at Carolina Funeral Home. In lieu of flowers, memorials may be made to Carolina Funeral Home, In Memory of Jeff Godwin, PO Box 757, Scranton, SC 29591.